The New York Empire begin its third season in World TeamTennis presented by GEICO as the franchise returns to the USTA Billie Jean King National Tennis Center this summer, looking to build off a 2017 campaign which saw it come one match away from the finals. Fernandez, along with WTT Co-Founder Billie Jean King and WTT Commissioner Ilana Kloss, held court for Empire Media Day at the National Tennis Center to kick off the upcoming season. The Empire hope to make an even bigger leap in its third season, and has the goal of competing for the King Trophy, which is presented to the WTT champion. In the draft, Fernandez said the primary focus was to enhance the doubles teams. Since three of the five sets played are doubles (Men’s Doubles, Mixed Doubles and Women’s Doubles), making sure you are successful in doubles is of great importance. To address that in the draft, the Empire selected Germany’s Tatjana Maria and Spain’s Maria Jose Martinez Sanchez, both of whom will be competing in their first season in WTT. The two will join Neal Skupski, who will be competing for the Empire for the third straight year, and draft pick Denis Novikov, as well as marquee players John Isner, Eugenie Bouchard and Mardy Fish. 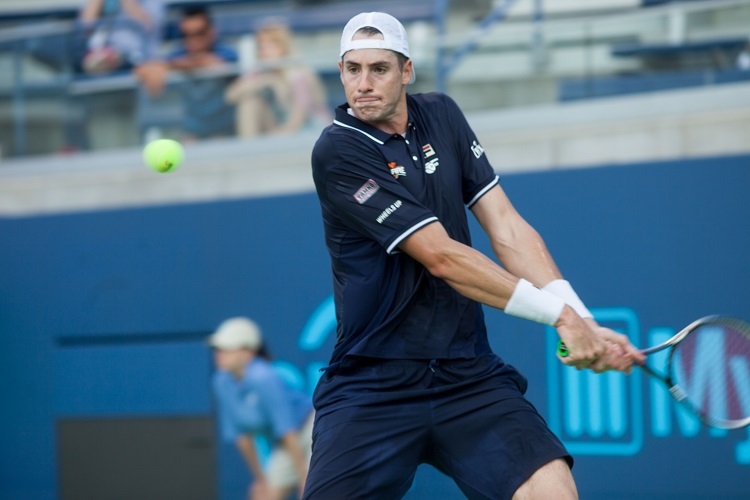 The season gets underway on Sunday, July 15 at 5:00 p.m., when John Isner will look to help lead the Empire to a season-opening victory. Featuring live entertainment, games, food trucks and face-painting, the team will welcome guests of all ages for Family Fun Night. Festivities will begin at 3:30 p.m. and the action on the court will begin at 5:00 p.m.
On Wednesday, July 18, the New York Empire will honor women who inspire today’s youth, as Billie Jean King and the Women’s Sports Foundation participate in “Empower Her Night” when the Empire host the Philadelphia Freedoms. Hundreds of young girls will be treated to one of two tennis clinics sponsored by Empire BlueCross BlueShield or the Women’s Sports Foundation as part of Empower Her Night. Participants in both clinics will receive a complimentary racket, interact with the New York Empire roster, take a photo with Billie Jean King, and Head Coach Gigi Fernandez will also make an appearance. A special ceremony will take place at halftime to recognize those in attendance. The Empire will “Play for Puerto Rico” on Friday, July 20 against the San Diego Aviators. Head Coach Fernandez will be raising funds and awareness for her native Puerto Rico after the devastation caused by Hurricane Maria last September. A live auction will take place at halftime featuring a bidding opportunity to play in Arthur Ashe Stadium for one hour later this summer. 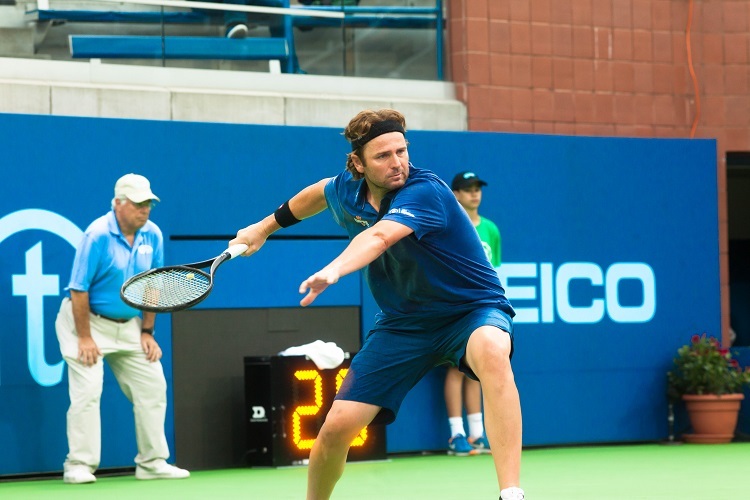 Mardy Fish, former American number one, will take Court 17 on Monday, July 23 when the Washington Kastles make their second visit to the National Tennis Center as the Empire host “Unity in the Community Night.” The night will feature a salute to our military service members, veterans and first responders. Any tennis fan who attends in uniform or shows their military or service identification card will receive complimentary admission to the night’s match. On Wednesday, July 25, the Empire will celebrate and showcase the multi-cultural fabric of Queens on “International Night.” Live music, international cuisine and on-court performances will highlight the evening. The Orange County Breakers come to Court 17 on Thursday, July 26 when Genie Bouchard and Fish will help host “Volleys Against Violence.” High school students are encouraged to rally together and join the evening that will feature a pre-match pizza party with local police officers and on-court contests. The Empire will close out its season on Thursday, Aug. 2 against the Philadelphia Freedoms with Fan Appreciation Night. Promotional giveaways will be featured throughout the evening and the first 500 guests will receive a special gift. One lucky fan will win a raffle for 2019 New York Empire season tickets. Tickets start as low as $10 for children ages 16-and-under and $25 for adults. The New York Empire offers both reserved box seats and general admission seating, along with hospitality packages, which include food and beverage service and the opportunity to meet the team. Group tickets and various hospitality packages are available by calling the New York Empire Office at (844) 5-EMPIRE (844-536-7473) or by visiting NYEmpireTennis.com. Marquee players are subject to change. All home matches will be played on Court 17 of the USTA Billie Jean King National Tennis Center.